If you thought HDTV was of a quality hard to beat, then think again. Apparently the BBC believes there is something 16 times better, and the British broadcaster is considering using it at the London Olympics next year. 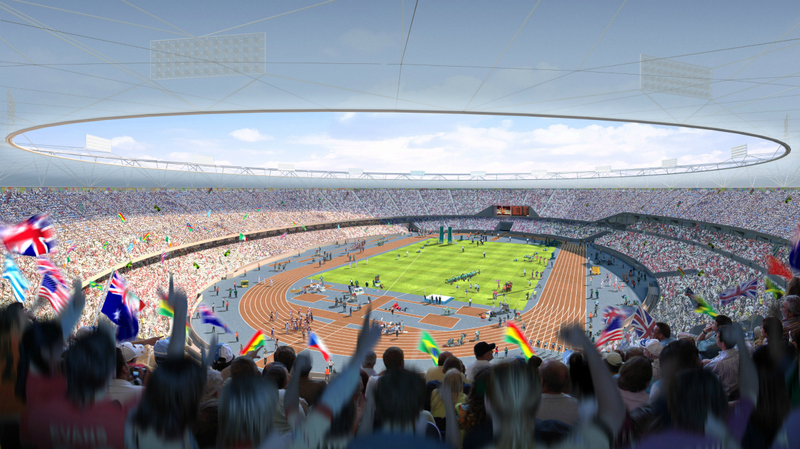 It’s also planning to broadcast a number of events, including the men’s 100 meters final, in 3D. Imagine that, the imposing figure of Usain Bolt storming down the track toward the camera (as long as he doesn’t make a false start, of course). Super hi-vision broadcasts could be shown on large screens, around 15 meters (50ft) high, at various sites around the UK. Mosey said the quality is so good that spectators would feel as if they were actually inside the Olympic stadium. “Super hi-vision might be a better long-term prospect than 3D in some ways as it gives you the feel of being in the stadium. People are knocked out by it,” he said. According to Mosey, Japanese electronics company Sharp is developing a 215cm (85in) TV set incorporating super hi-vision technology, though it probably won’t be widely available until 2022. Sports competitions broadcast in 3D using strategically placed cameras could certainly jazz things up a bit, with the javelin, shot put and hammer throw being three such events that may well have viewers around the world flinching in unison or watching nervously from behind cushions.